AROUND 30 angry people turned out on a miserable Saturday morning to protest against recent changes to the pension system, which require women to work until at least 66 before they can get their state pension. The Lerwick #ShouldertoShoulder protest was the most northerly event held as part of a national campaign. Mother and daughter Ann Leask and Hayley Leaper. 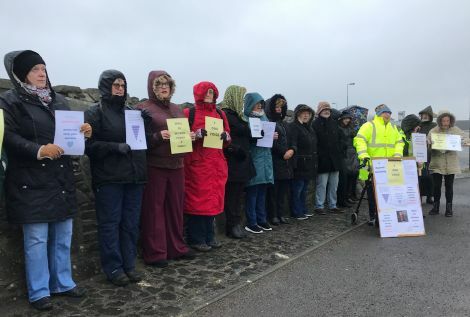 Organised locally by Janet Ainsworth, who said the group and its supporters would protest at the Tesco roundabout every Saturday from now until the government would start listening to their concern. As many as 3.8 million women nationally, and 3,000 in the northern isles, are affected by the 2011 pension reform. It aims to bring the female pension age in line with that for men, which is currently at 66 and which will gradually increase to 67 over coming years. 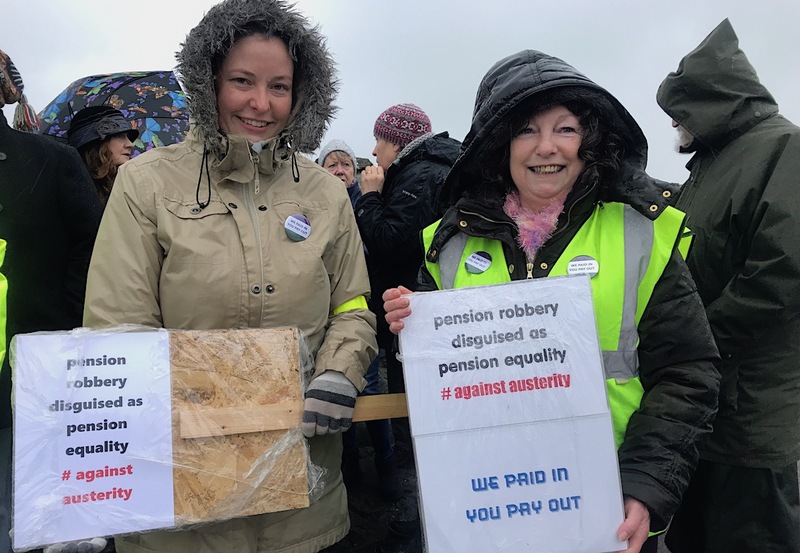 The changes, brought in by the 2011 pension act, has taken many women by surprise, who now find themselves in a position where they have to work up to five years more before being able to claim the state pension. Janet Ainsworth: delighted with the turnout. They all claim they have not been informed by the UK government of these changes. But the Department for Work and Pensions (DWP) have insisted that the changes have been communicated widely. 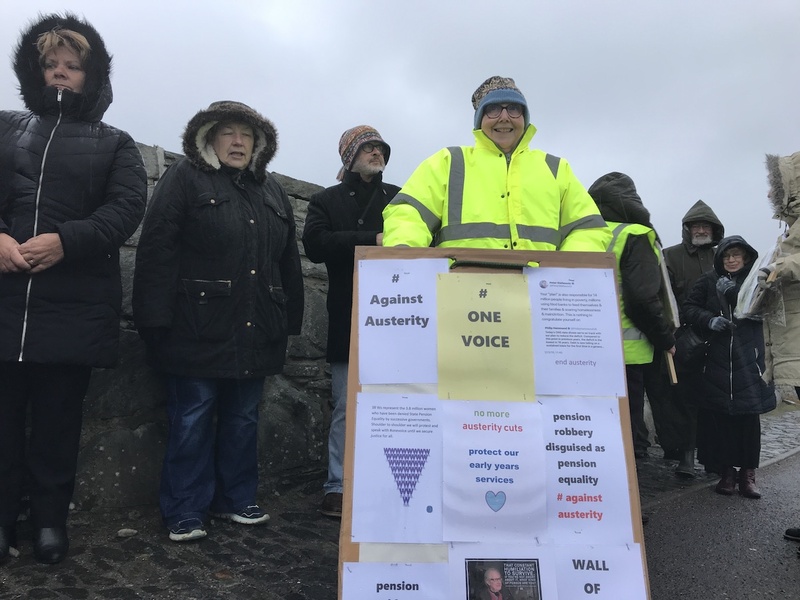 Ainsworth said that in her view the pension age changes were linked to austerity whereby the government was refusing entitlements to working people while failing to make big corporations pay fair taxes. Delighted to see so many people showing their support on Saturday, she added: “I am absolutely overwhelmed with response here today. Another said: “I am here because we have lost out on six years pension. We did get no warning that this was going to happen. So we have lost out. Next Saturday’s protest at the Tesco roundabout is again planned for midday. Local organiser Janet Ainsworth can be contacted on 01806 577216.